If you live in or near Illinois, you’ve likely heard of Galena–a small historic town in the northwest corner of Illinois not far from the Mississippi River. The town, perched on the side of a hill above the Galena River, is chock-full of restaurants, shops, and attractive historic architecture. Galena claims a few museums, including one devoted to its most famous resident, Ulysses S. Grant. Not surprisingly, the town is one of the region’s major tourist destinations. 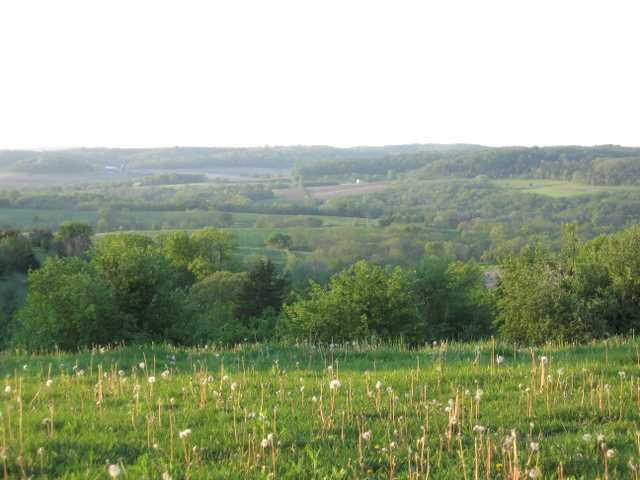 What the throngs of visitors to Galena often fail to fully experience is the countryside surrounding the town. Hands down, it’s the most scenic terrain in northern Illinois. 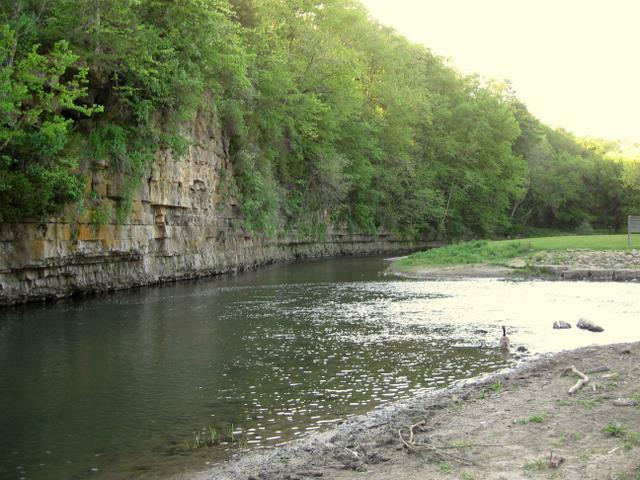 The big hills and valleys, small dairy farms, lush woodland, and streams flowing through small limestone canyons offer a sharp contrast to the Prairie State’s nearby fields of corn and soy. All this combined with fairly quiet roadways that twist and curve like wriggling snakes make the Galena area a top-notch road biking destination. One of the best rides in the area heads into the hills north of Galena and then runs east along an old stagecoach route to Apple River Canyon State Park. From the park, it loops back to Galena along a series of quiet scenic roads offering plenty of far-off views. Saddle up for this 57-mile ride at the Tourist Information Center in Galena. In the 1830s, as a result of its booming lead mining industry, Galena’s population of 1,000 far outnumbered the 100 residents who lived in the swampy town of Chicago. The lead mines and associated commerce catapulted Galena into one of the busiest Mississippi River ports in the 1850s. Many of the buildings from the era still stand. Indeed, 85 percent of the town’s buildings–including the entire downtown district–are listed on the National Register of Historic Places. All this history and picturesque architecture can turn Galena’s Main Street into a half-mile long traffic jam. If you’re biking on a summer weekend, you’ll likely feel some relief as you head out of Galena and leave its crowds behind. A mile or so outside of Galena, you’ll encounter a few short downhills, but mainly your pistons are pumping upward. While continuing a gradual climb, don’t forget to raise your head to see the expansive views of the farms and woodland to the south and north. Soon, the road descends and you’ll fly across the Galena River. Start climbing again, and far-off views in nearly every direction compete with the need to watch the road in front of you. As West Stagecoach Trail dips and bobs, you’ll see old farmhouses, swaths of dense woodland, and occasional gatherings of Holsteins in green fields. This scenery probably hasn’t changed much since this road served a 40-mile stagecoach route between Galena and the town of Lena to the east. Local historians say the stagecoach operated from the mid-1830s until the mid-1850s when the railroad arrived in the area. Heading south from West Stagecoach Trail, the route zigzags along a few quiet farm roads on the way to Apple River Canyon State Park, which hosts fine picnicking spots and a small limestone canyon carved out by the Apple River. This is a perfect place to unpack the sandwiches from the pannier, admire the surroundings, and give your hardworking, hill-climbing legs a bath in the cool river. South of the park, Townsend Road immediately takes you on a sometimes gradual–and sometimes screaming–descent for a couple of miles. Pure joy. By now, you’ll see a pattern emerge: the longer descents often lead to a river or stream crossing–in this case, the Apple River. In Schapville, look for the Zion Presbyterian Church, a wood country church built in 1886. Beyond Schapville, the road mounts a ridge that occasionally offers jaw-dropping views of far-off countryside. The scenes bring to mind idyllic pastoral paintings of 19th century America: a series of overlapping hills adorned with lush greenery, happy farm animals, and the occasional garnet-colored barn. The road gradually descends about 350 feet before crossing Smallpox Creek. Two minor climbs bring you back to West Stagecoach Trail, over the Galena River, and back into town. Most of this 57-mile loop ride follows quiet roads. West Stagecoach Trail is busier and traffic can move fast, but motorists seem accustomed to cyclists and provide a wide berth while passing. Near Galena, roads seem to change names randomly. From the Galena Visitor Information Center, head north out of town on Main Street. Bear left on North Council Hill Road. Continue straight ahead as North Council Hill Road turns into West Council Hill Road. At West Stagecoach Trail, turn left. After passing through the small village of Apple River, turn right on North Canyon Park Road. Left on East Sweet Home Road. Right North Canyon Park Road. Right on East Townsend Road. Right on North Scout Camp Road. Left on East Schapville Road. Left on North Elizabeth Scales Mound Road (County Route 4). Right on West Rawlins Road. Continue straight ahead on Guilford Road as West Rawlins Road turns to the right. Left on West Stagecoach Trail to return to Galena. If you’ve still got energy to burn after returning to Galena, consider taking a spin on the 3.4-mile Galena River Bike Trail, which starts at the parking area near the visitor center. The smooth crushed gravel trail runs along the river and adjoining wetlands, and ends just shy of meeting up with the Mississippi. This article first appeared in the August 2008 issue of Silent Sports magazine. This entry (Permalink) was posted on Friday, July 25th, 2008 at and is filed under Biking, Illinois. You can follow any responses to this entry through the RSS 2.0 feed. You can leave a response , or trackback from your own site. Prairie Fever is powered by	WordPress 3.5.1 and delivered to you in 0.183 seconds using 35 queries.